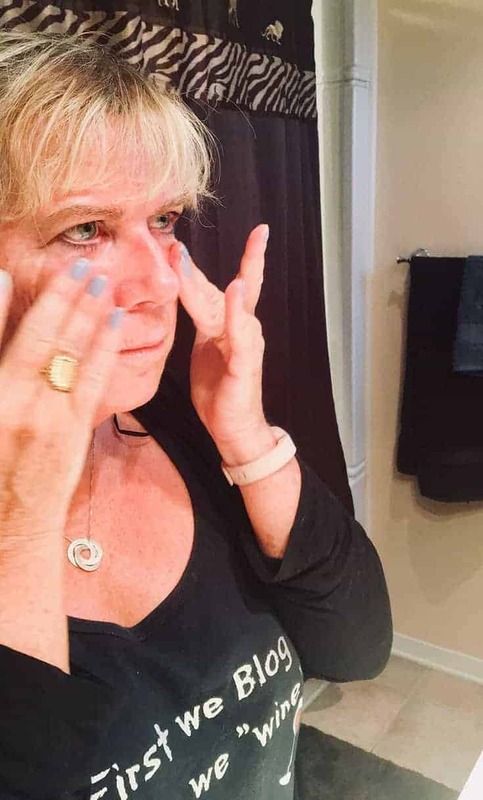 Linda from A Labour of Life gave our Anti-Aging Day Cream, Night Cream, and Serum a try. Check out her results after using Renew Health for 30 days. Thunder Bay is the home to many a famous hockey player, the Sleeping Giant, Paul Shaffer and of course Persians (google that one folks) but know what else the are going to be famous for? A new health and beauty company that is producing an anti-aging skincare line soon to be launched across Canada. Renew Health, led by former Harvard Medical School Researcher Dr. Mitchell Albert, has created cream and serum formulas to prevent, and even reverse, the signs of aging for a fraction of luxury brand prices. 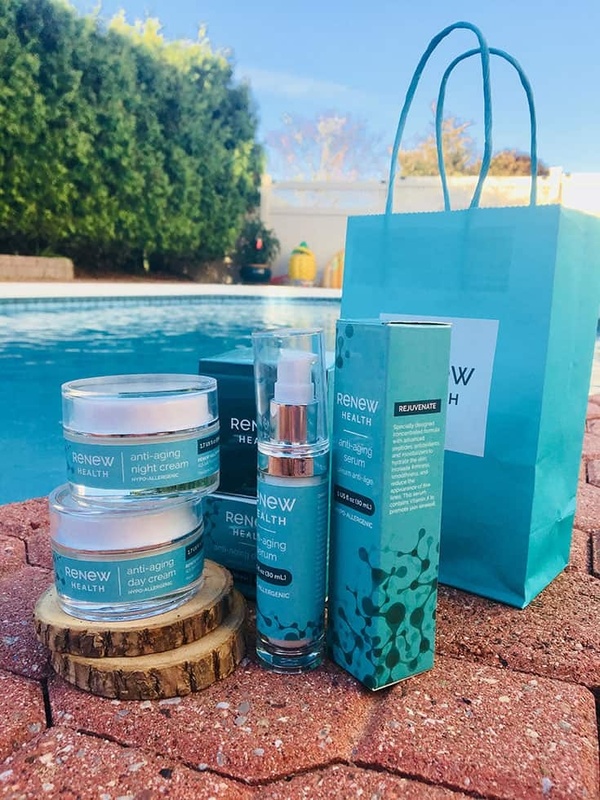 I was fortunate enough to be asked to partner with Renew Health and see what I thought about the products. 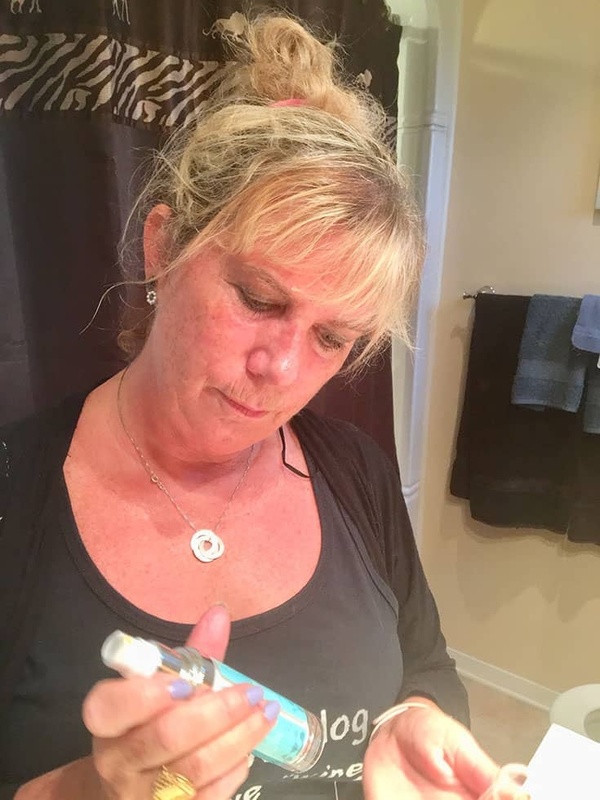 I am partnering with Renew Health to test out the new skin care line. . I am receiving a fee for posting; however, the opinions expressed in this post are my own. I am in no way affiliated with Renew Health and do not earn a commission or percent of sales. Well you know me always on the search for quality skin care products. 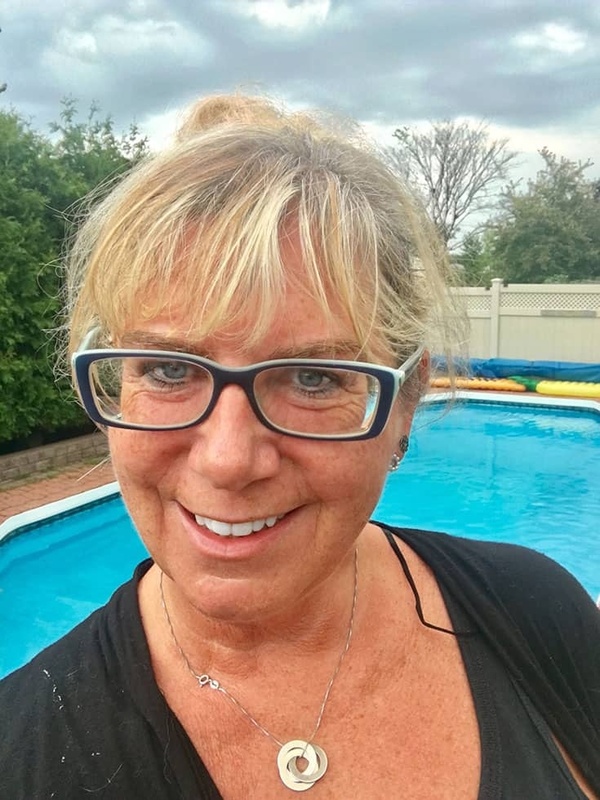 Today at 54, I am still most of the time foundation free but I am never moisturizer free. Skin care has mattered to me all my life. I have some very bad skin care habits, I may forget to wash off my eyeshadow, I may bake in the sun but I never forget my cream. In the morning and before bed, I take the time to take care of me. A skincare line that can help the elasticity and maybe reduce a few lines, well sign me up. 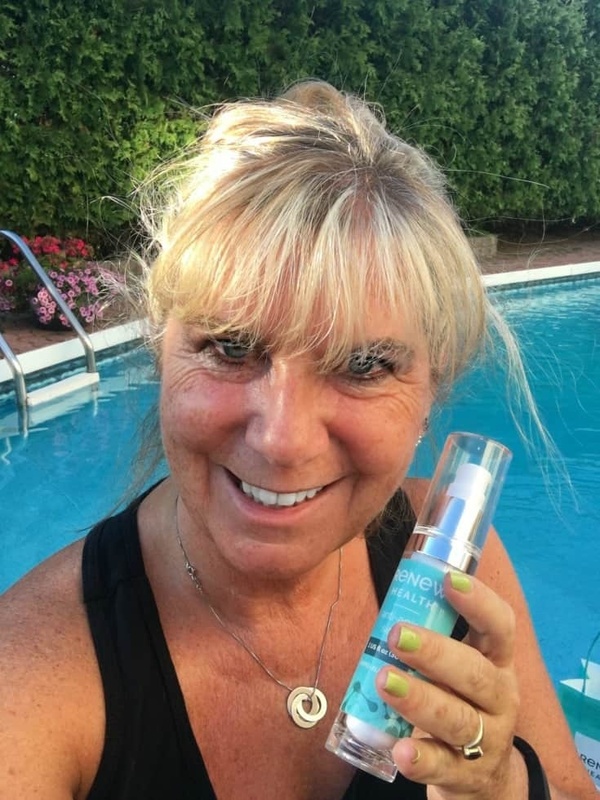 I received the serum, day cream and night cream on July 4th and so began my trial. The routine is simple use a small amount of serum prior to using the day and night cream. First warning, I will confess the first “smell” of the lotions took me back slightly. I forgot there is no artificial scents added so it’s a natural scent. It reminded me slightly of a wood smell. Please do not let the scent put you off though, it immediatly dissipates. Also excuse the lighting, my bathroom is apparently not blog worthy from a lighting point of view. 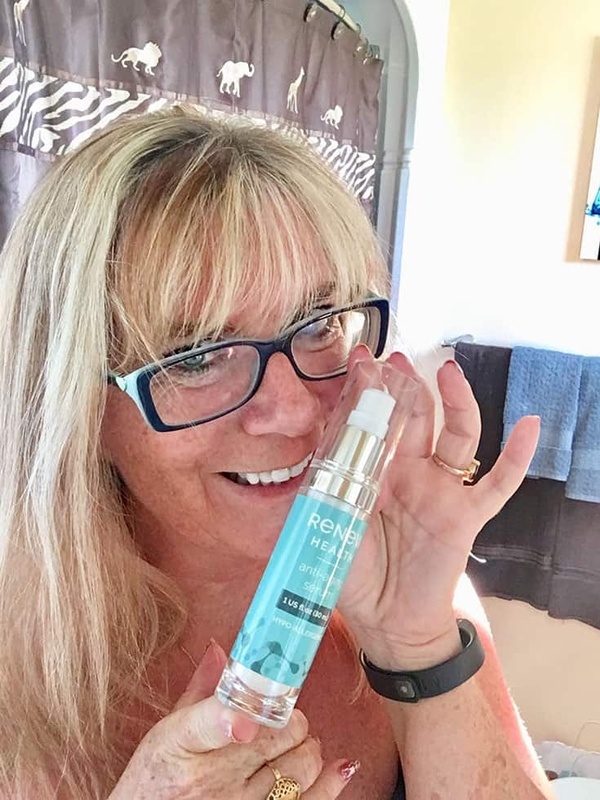 The Renew Anti Aging Skin Serum– it is recommended that you apply morning and night to a clean face, neck, and décolletage before moisturizing. They do caution you about skin sensitivity but hello it was July. This serum contains Vitamin A which can increase skin’s sensitivity to the sun. I did try to limit exposure, Ok totally ignored that little recommendation but I did use a few precautions. I continued to use sunscreen and a hat while I was outside but true confession, you may notice the tan developing over the series of pictures. Renew Anti Aging Day Cream and Night Cream– Gently massage onto clean face, neck, and décolletage. For best results, use after Renew Health Anti-Aging Serum. August 4th, exactly a month later again I have noticed a difference. No, all my crows feet did not disappear but for a 54 year old who doesn’t wear foundation I would say the skin looks pretty darn good. The pictures are unfiltered and unedited and are a real glimpse into me. Plus they are taken outside in full sun. My normal routine, if you want to call it a routine, is strictly water, no soap, and a few creams to nourish my skin. 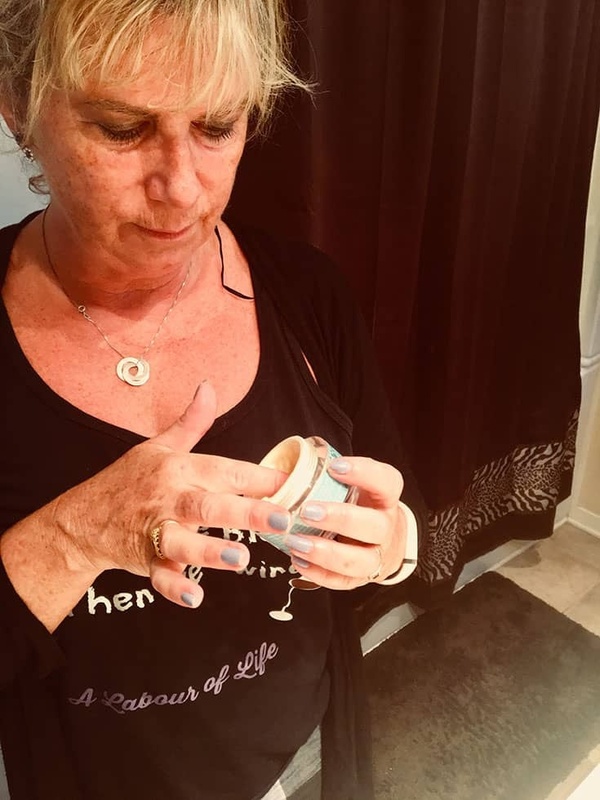 I focus on a night cream before bed and a day cream in the morning (and always SPF).I am a fussy gal, so I don’t want flowery and I don’t want greasy, but I do not want to not feel the awful tightness that sometimes happens. I also do not want florally scents. So what is my verdict? A skin care line that lives up to it’s promise. My skin immediately soaked in the serum, the creams felt velvety smooth not greasy. The downside cuz I like being honest, no already added SPF. I did find because spf is so important especially on my face that i needed to add an additional cream in the morning. Renew your skin with our line of cost effective skincare products. Reduce fine lines, wrinkles, dark spots, sagging skin and sun damage. Our revolutionary skin cream and serum improve your skin’s elasticity, firmness, fine line reduction and youthful glow in just 30 days with our scientifically proven products. Skin feels smoother and looks healthier. So you tell me from July 4th until August 4th can you see a difference? Or after an additional month of sun exposure have I at least help stave off further damage?